Kids get creative, so does innovation. 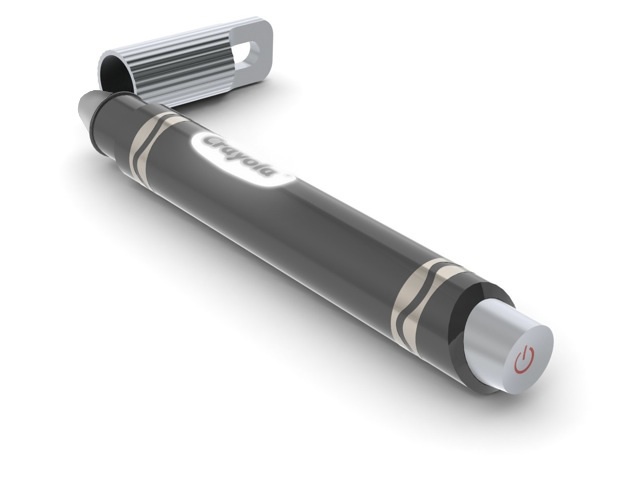 Over at the Griffin booth at the International CES 2013, the company has announced, in collaboration with Crayola, the Crayola light marker, a digital stylus that uses a light to interact with the front facing camera on the iPad with Crayola’s light marker app. As the child uses the digital marker to interact with the app, a cursor on the screen follows the child’s every move. When the child presses the button on the marker, the marker changes color; signaling the app that the children is selecting something. On the app, the child can color in a predefined template of a variety of items or go freehand and create something on their own. In addition to coloring, the app features a bunch of activities that uses the light marker to interact with. The marker will be available during the spring of this year for $29.99 and can be picked up at most electronics and major stores. A great investment if your kids want to use your iPad to play with without worrying about them breaking it.